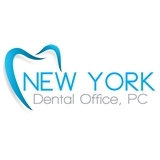 New York Dental Office, PC (New York) - Book Appointment Online! Really cool guy. Professional and easy to work with. I first started coming to Dr. Kedem for Invisalign but now go to her for all my dental needs. Love her. Dr Levite provides good care and i would recommend her. the issue that one needs to be careful with, is the receptionist who administers the charges for the service. she does not understand the insurance coverage and has charged me twice for serices that were covered 100% by my insurance. Also, she gets very defensive and argumentative if you ask her about the fees and the insurance coverage. She keeps telling you that she has given you a special deal, which she could lose her job for it.. but the end results are that you are that i've been overchaged more than once. now waiting for a refund for those overcharges.